Man is a creator; it is intrinsic in his very being. This drive to create is one of the most compelling proofs that man, himself, has been created. For it is in the image of his Creator that he was formed. It is fitting that man, formed out of the dust of the earth, would seek to create out of the clay of the earth. I sculpt and paint to bring to the world images that will encourage, excite and enrich. It is my goal to create lasting works that will be a constant source of joy to each collector. It is vitally important to me that my pieces be, not only accurate from a historical perspective, but also have the ingredients of truly great art, regardless of genre. My passion is the world of the buckaroo and of horsemen and horsewomen, both contemporary and historic. This is my background, combined with the love of art and of training horses. It is vitally important to me to leave a record of the buckaroo of today, and to tell the lives of the historic horseman of the West. The pieces I create allow me to share this passion. Bronze is the medium that allows such statements to be made in a tangible form. Not only the sense of sight is involved, but the sense of touch, as one views the piece in the round. The piece will enchant you afresh each time you move it. Sculpture allows me latitude that I do not have in flat formats. Watercolor has a transparency and luminosity unavailable in other mediums. Watercolor is a classic format for Western Art and telling the stories of the West. Sculpture is what initially drew me to art. On a ranch, surrounded by the horses I love, I wasn't looking for another obsession. But then I saw a bronze done by a cowboy artist, and it struck me hard. From that point on I began to pursue the means to sculpt. Other sculptors took the time to teach me. I began to grow as a sculptor. These men gave me the background to accomplish more and more sculpturally, as I pushed forward. I must look at the masters of our day and of the past to study and learn from both. I desire that my work will be seen as important art in the years after I am gone. Sculpture is as timeless a medium as man has to leave a record. Therefore I want what I sculpt to be worthy of such a permanent material. I have always loved Ed Borein's watercolors. His work has the authenticity of someone that has been there. Like myself, he was a native Californian and worked on ranches throughout California and the West. His work focused on the Vaqueros of California that he had ridden with. His work breathes with life and energy. Watercolor is the most difficult of mediums and the challenge of creating with it draws me to create paintings of the West. It is a very permanent medium and has its own challenges that drives me to excel with it. Few of us will ever know what it is like to be on horseback in country that swallows you up with its grandeur. We can only wonder about the sensations we might have as we sit on the back of a nasty bronc, fanning him to the point where the bucking ends. Imagine having a rope out, chasing after maverick cattle. Picture yourself next to your horse, cold and wet already, and the morning has just begun. These and a thousand other experiences are what the buckaroo lives. In spite of the challenges he faces today, the buckaroo understands that what he does has an important role in America's future. He is an American icon that represents what is good in our great country. My art celebrates this lifestyle. My life has been centered around this world. To be able to bring this world to others, is a great joy, a privilege and a great responsibility. "To my mind there is no more grand a subject than the Buckaroo, his horse, and the life that they live in the great American West. The opportunities artistically and from an historical standpoint are limitless. The goal of any art should be to communicate, to carry on a conversation between the viewer and the piece of art being looked at. What I desire for the art I create is a piece that is compelling to the viewer and artistically challenging, a piece that will capture the viewers attention and not let them go. " It is what he brings to the table as an artist that allows Mattson to accomplish these goals. Born in California, his family was heavily involved in training and showing horses. Curt learned to ride and train everything from cutting and reining horses to pleasure horses while working on ranches through out the West. He was fortunate to learn how to make good horses in the tradition of the Buckaroo. To bring them up slowly with soft mouths and well trained. It is a tradition and heritage he values and is blessed to be a part of. Curt rode for ranches from California to Alberta, Canada. It was in Alberta that he met the woman that would later become his wife. They worked together on a small horse ranch there, and then Curt went back to Oregon. It would take some time, but 10 years later the pieces fell together. On November 10, 1990 Curt married Wendy Gaastra, together they live in Arizona. Curt's grandfather was an excellent horseman and craftsman, building saddles, bits, and braiding reins and bosals. He taught Curt how to build saddles and encouraged Curt to pursue sculpture, to tell the stories of the buckaroo. Around this time Curt ran across a photo in Southwest Art of a sculpture by Grant Speed called "Outlaws And Twisters." This piece captivated Curt and he still has the page from the magazine. It was then that he started thinking along the lines of trying his hand at sculpture. Ranch work is a 24/7 job and left Curt no time to work on his art. However Curt's parents were supportive of his endeavors, and put him work in the family business so that he could study art. Curt started sculpting in 1983 and went full time in 1988. At an art show two months after leaving the ranch he was on, he met Cowboy Artist of America member Mehl Lawson, who generously took Curt under his wing and taught him from the ground up. Curt continued to learn from some of the top sculptors in the country by attending workshops with Fritz White, Herb Mignery and Richard MacDonald to name a few. 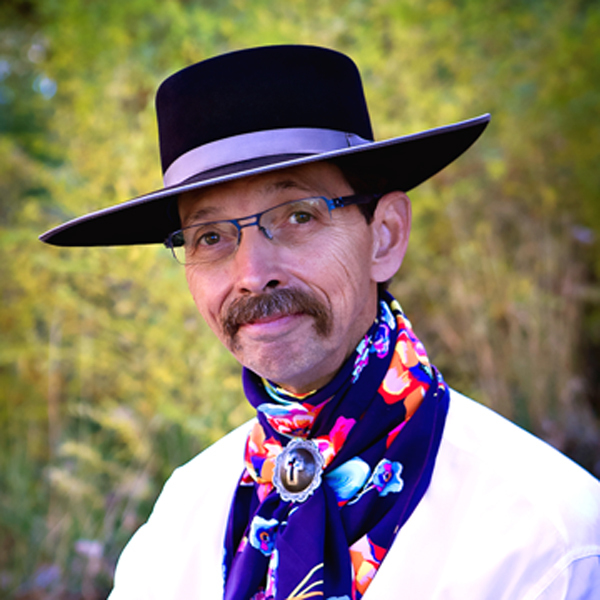 While living in Prescott, AZ Curt's intensive training continued with Cowboy Artist of America member Pat Haptonstall. Many hours were spent under Pat's tutelage honing Curt's abilities even further. These sculptors encouraged Curt and gave generously to his artistic growth through their time and critique. "It is vitally important to me that what I create be first and foremost good art. My desire is that my work be historically accurate and artistically important. It is a hard line to draw at times, for accuracy is as important, but an accurate statement that is poorly composed and modeled defeats the purpose of the creation. It must have both of these components to be successful. And in the end it must speak to others. Art must be about others and bringing them into a world that they love and admire. To do otherwise is meaningless." Curt's life with horses is the grounding and inspiration for what he creates. To be an artist is the greatest of gifts in his eyes, and he is blessed to be able to share it with others. "There is not a day that goes by that I do not thank the Lord for allowing me to create art." "I create to bring to the world something that will encourage, excite and bring hope. It is to shed light into the lives of others. Light brings hope. The pieces I create allow me to share this passion with others. Any creation is void of true meaning unless it is born of a sincere love for the subject and the art form in which it is expressed.